If you would to get in touch with us in regards to a article on our site or to just say Hello, feel free to contact us at the email address below. We are always looking for System Administrators, System Engineers and IT Professionals to contribute to our Community and Brand. See more About Us Here! If you are interested in producing high-quality content for ITTSystems.com, please feel free to contact us at the email below as well and specify that are you interested to in becoming a contributor. We're Based out of Seattle, Washington! We currently don't Accept Mail to our Location, only via EMAIL Correspondence below! Are you in the Information technology field and looking to put your skills to use and want to earn some extra money? We're always looking for talented Network Administrators, Network Engineers with any intermediate knowledge and understanding of IT Concepts and some hands-on experience. We offer competitive pay for IT articles, how-to guides, software reviews and scripting – if you would like to discuss this opportunity more with us, drop us an email at the above email address and we'll get in touch within 12 hours to discuss pay structure and what type of articles we're looking for. 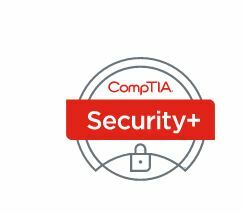 Having Certifications is a Plus too, as we offer a byline for your author profile – MCP, MSCE, MSCA, CCNA, CCNP, CCIE, VMware, CompTIA and any other industry specific certifications are always welcome!